Do you plan to buy property in Pattaya? Pattaya is the second most popular tourist destination in Thailand after Bangkok, attracting travelers and investors in vast numbers. The market was initially dominated by Westerners, and later saw a big influx of Russians. Chinese buyers are predicted to increase in numbers. 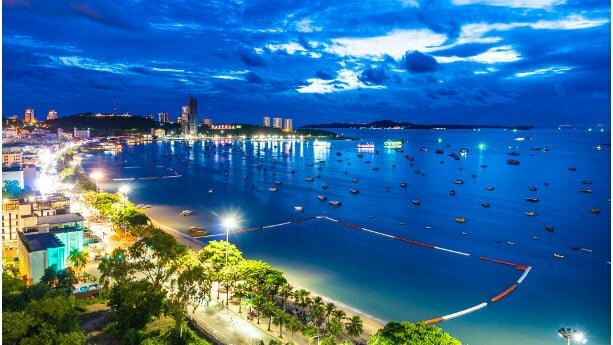 By having the reputation of being Asia’s biggest beach resort, Pattaya will continue to be popular among property buyers. Increasingly more people buy off-plan properties, but established property is still a preferred choice for some buyers. Below you’ll find interesting new property projects and launches in Pattaya, including villas, bungalows, and condos. Arcadia Beach Resort is the biggest resort style condominium located in the central parts of Pattaya. It’s located close to the popular Walking street and a short drive from Pattaya Beach. It comes with a number of modern amenities and entertainment. Buying here will give you a guaranteed rental return of 10% for up to 10 years. Heights Holdings is a luxury condominium developer and mainly operates out of Thailand’s Eastern Seaboard. In addition to Arcadia Beach Resort, the company has built a number of projects in both Pattaya, Wongamat, and Pratumnak. To know more about this project, simply fill in this form and we’ll connect you with a leading agent in Thailand. 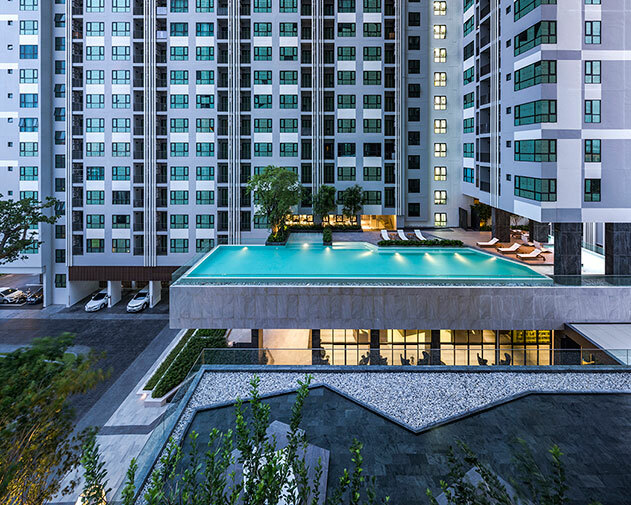 The Base Central Pattaya is a popular project that has received a rating of 4.2 / 5, with 500+ reviews. 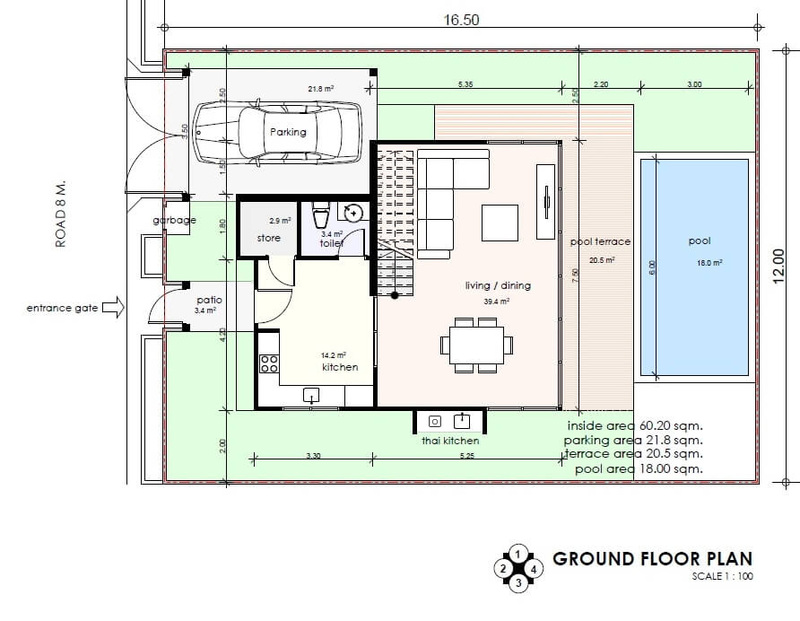 The project is located in the central parts of Pattaya and offers smaller 1-2 Bedroom units, with modern amenities. The Riviera Jomtien is a condominium project built in Jomtien, an upcoming area in Pattaya. Located merely 300 meters from the beach, you have access to a number of modern facilities and amenities. Riviera Group is a Thai based developer that has won a number of awards. It’s a five Thailand Property Awards Gold winner, and has won 20 Asia Pacific Awards. Under projects built by Riviera Group include Riviera Wongamat Beach and Riviera Monaco. 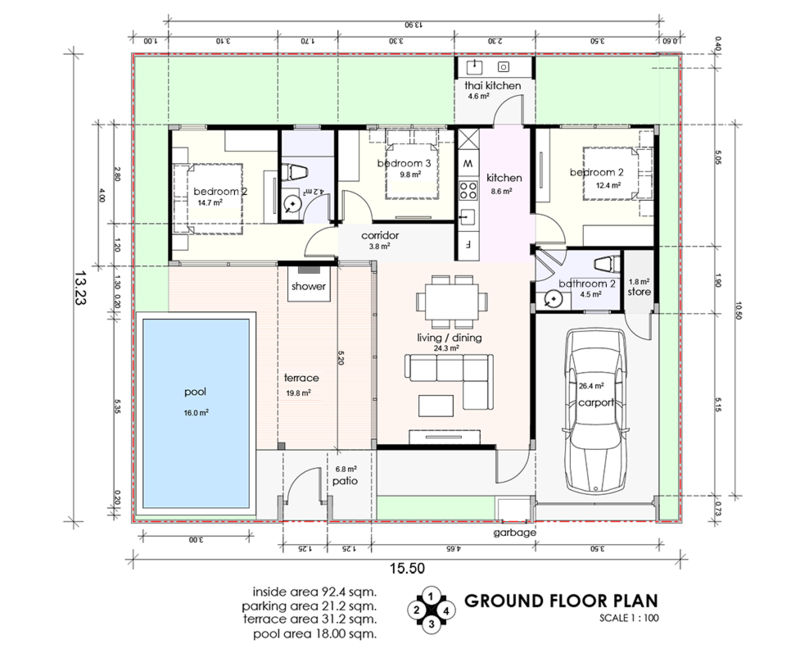 D-Sign Homes is a smaller bungalow project, built in European style and with imported quality materials. You can find Huai Yai road only 200 meters away having cafés, restaurants, grocery stores, and more. D-sign Villas is a property developer focusing on the construction of luxury properties. The company was established in 2013 and works with renowned architects, in-house construction teams and designers. They also have a subsidiary called D-Sign Furniture, working with interior design and furnitures. Mövenpick Residences & Pool Villas is managed by the Swiss brand Mövenpick, offering luxury villas only 100 meters away from the beach, and 15 minutes away from the city center. The villas come with a number of modern and amenities and facilities, including 4.5 x 9 meter private pools. Is buying property in Pattaya a good investment? There are both benefits and drawbacks of buying property in Pattaya. First of all, Pattaya’s property market relies heavily on foreign capital coming mainly from Chinese and Russian investors. We could see a direct effect on Pattaya’s real estate market when the Ruble fell during the oil crisis. This is not the case in places like Bangkok and Hua Hin as you can see more diversity in terms of nationalities. Pattaya has experienced an oversupply of property as well, prices are not predicted to appreciate that much during the near time. Another drawback is the fairly low occupancy rate, as people often use Pattaya as a vacation retreat, and don’t go there off-season. The upside of buying property in Pattaya is that you can find untapped areas like Jomtien and Na Jomtien, that are located a bit further away from Pattaya. The rental yields are among the highest in Thailand, averaging at 5%, while the yields average at 4% in Bangkok. Can I get a property loan from banks in Thailand? It’s not easy to be granted local property loans as a foreigner. In case you need financing you should consider to borrow against your property in your home country. You can also apply for a loan with the help of your Thai spouse. Developers sometimes help with financing as well, which is becoming an increasingly popular option. Can foreigners buy villas with land in Pattaya? Foreigners can buy villas with land, where the villa is owned on a freehold basis and the land is held on a leasehold basis. The leasehold period is comparatively short and 30 years, even if you often have a possibility to renew the leasehold for additionally 30 years. I recommend you to hire a solicitor that can help you to make the lease and sales contracts. You should preferably include a clause stating your rights to renew the leasehold period for a maximum period of 30+30+30 years. The solicitor will make sure that nothing is left out, give professional advice, and to review the title. The central pars are well-known for being a bit overcrowded, even if you can earn decent rental incomes here. As shown above, there are many developers offering guaranteed rental returns. The central parts will always be a preferred option for many tourists and retirees. You also have a number of interesting upcoming areas, located either with direct connection to the central areas, or a bit further away. Two areas that become increasingly popular are Jomtien and Na Jomtien. Previously, Jomtien and Na Jomtien had less amenities and you often had to go downtown for restaurant visits or when spending a night out. That’s changing quickly as these areas see increasingly more activity, with more bars and restaurants, for example. This is not a Yes or No question, but depends on for how long you rent out your property. Thailand has three different acts called the Hotel Act, the Condominium Act, and the Foreign Business Act. In short words, these acts stipulate that you’re legally compliant to rent out property on Airbnb for at least 30 days at a time. If you go to Airbnb.com, you can see that there are significantly more properties available if you input a stay of 30 days or more. Keep in mind that the management and boards in projects often stipulate their own rules as well. It’s important that you confirm upfront what regulations that apply for specific projects. If you want to read more about renting out property on Airbnb in Thailand, I recommend you to read this article. Can I get a long-term visa in Pattaya? You can apply for a long term visa called the Thai Investment Visa. Simply put, you need to invest and/or deposit THB 10 million or more in different assets. You qualify for the visa if you buy a newly built condo with a purchase price of at least THB 3 million. If your property is only worth THB 3 million, you need to invest a remaining THB 7 million in government or state-enterprise bonds. You can also deposit all or parts of the money into a local bank account. You can combine the different asset classes. In addition to the Thai Investment Visa, you have two other visas that should be of interest. The second option is to apply for the Retirement Visa which allows you to stay long-term. You need to be 50 years old or above with pension to apply for the visa. The second option is to apply for an Elite Card where you simply pay a significant amount to enjoy a number of benefits and allowing you to stay long-term.